The NMI loves to engage with colleges and organizations across campus by providing insights into new media topics, trends, and technologies. A few weeks ago, our Social Media Intern, Sean Kilgore, had the opportunity to share some of his knowledge regarding social media management and best practices. 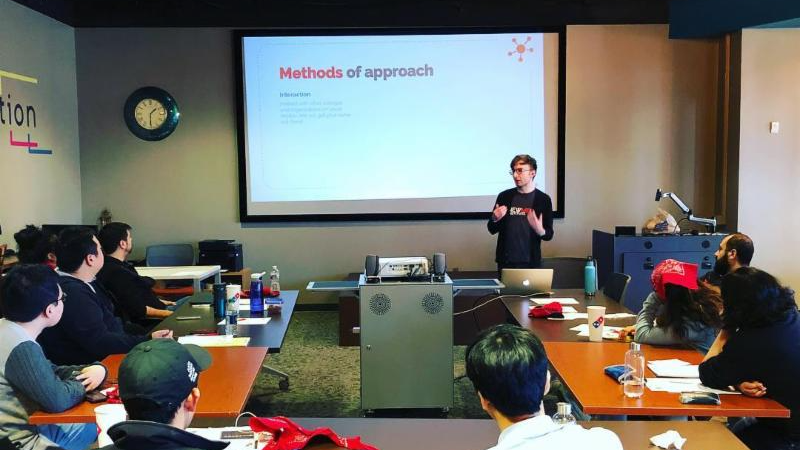 At the Spring 2018 UGA International Student Life Student Advisory Board retreat, Sean discussed how to build an audience, improve engagement rates, analyze metrics, and manage communities through various social media platforms. Sean also demonstrated how to build out a content calendar and utilize popular publishing tools such as Hootsuite. With these new tips and tricks, the ISAB will engage a wider audience of international students here at the University of Georgia.